"I am supper happy and if I look at the list I am on now I am among the greatest cyclists in history," he said. There had been nine failed attempts to better the mark set by Wiggins, with no rider coming within half a kilometre of his record before Campenaerts' effort. 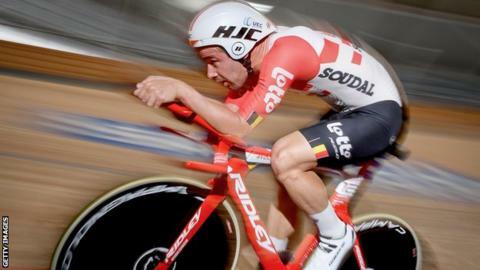 "I really focused on this for a long time," added the time trial specialist, who has won the last two European titles and finished third at the 2018 World Championships in Innsbruck. "I am really happy to take the record and really happy to break the magic 55km."